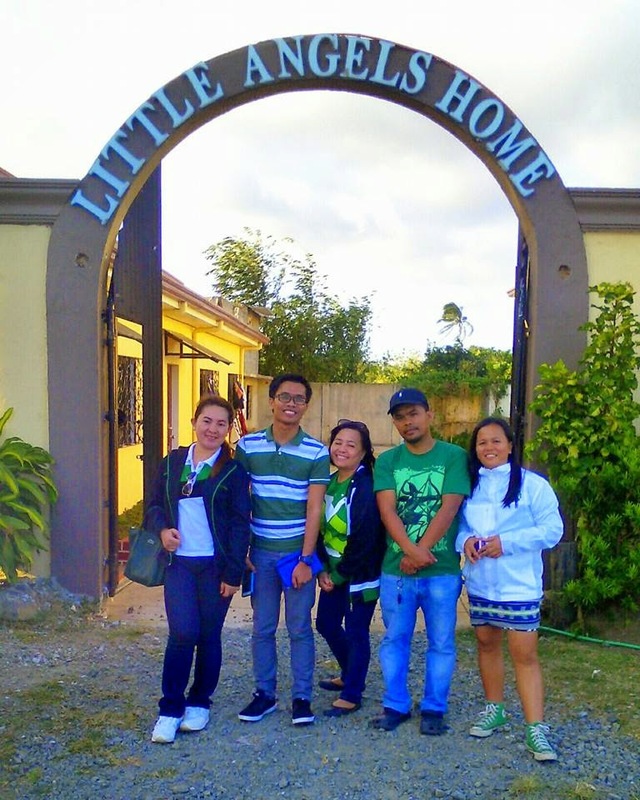 Little Angels Home, Inc. (LAHI) is a joint project by the Risen Christ Monastic Community and the Handmaids of the Risen Christ. LAHI is licensed and accredited by the DSWD (Department of Social Welfare and Development), serving abandoned, neglected, orphaned and surrendered children from ages 0-12 years old. They are located at Bonifacio Drive Silang Junction Tagaytay City and has an extension at Coffee County, Barangay Panungayan Mendez, Cavite. 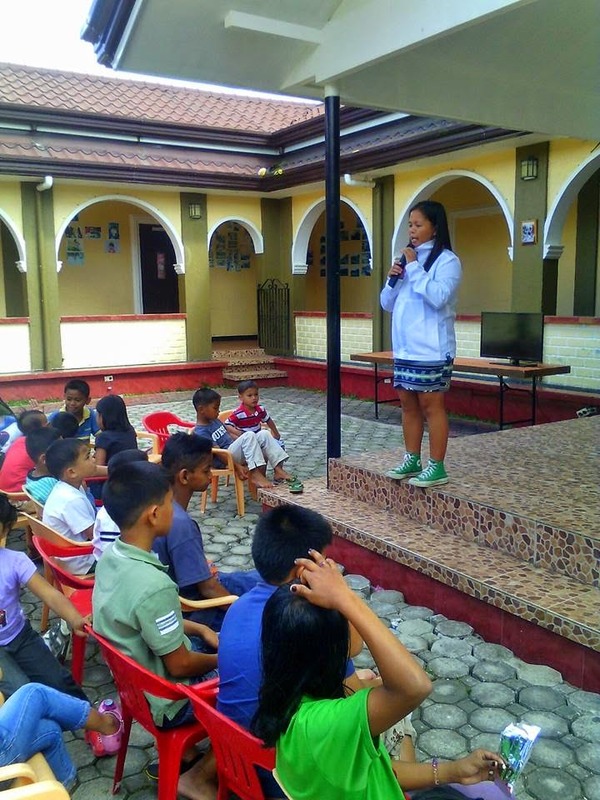 Through the inspiration of the Holy Spirit, LAHI's mission is to become a leading social welfare institution in the country.They aim to provide equal care, love and service to the abandoned and neglected children. LAHI also serves as a model not only to religious congregations or corporations who can afford noble service but also to families who can provide any assistance. LAHI aims to provide utmost love, care and help breed new life with hope to the LAHI children, thus they offer integral parental care for children whose parents are unsustainable due to illness, death, socio economic issues, family and societal situations detrimental to the integral development of the children. LAHI is currently housing 36 orphan children, from ages 1 to 14 years old. 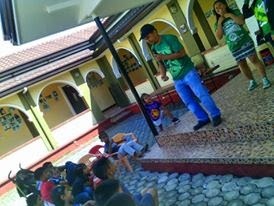 Upon entering the lobby of the orphanage, we were welcomed by warm hugs from two bubbly children, Shane (girl) and Jaypee (boy). We assembled the kids in their activity area, and introduced ourselves. The first activity was a story telling session by Candy May Schijf where she read the Emperor’s New Clothes. All the kids attentively listened. They were all very curious about the story and they readily answered questions asked by Ms. Candy. After the story telling session, the kids watched RPG Metanoia, a locally produced animation movie. Afternoon refreshments were served to the children while they enjoyed the movie. 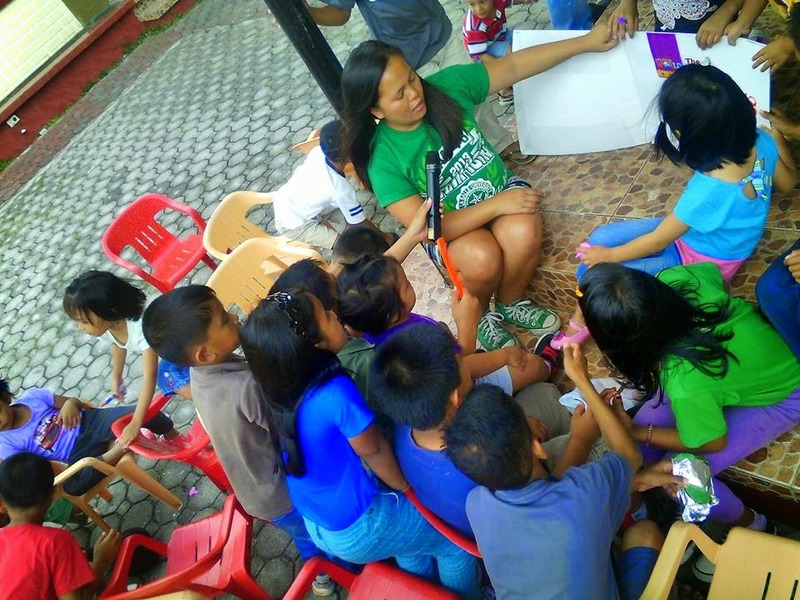 While the kids watched we were able to give read-aloud sessions with the toddlers. Looking back, this experience gave us deeper love and understanding for the children, particularly those who are abandoned, neglected, and orphaned. We admire their contentment and happiness of being together. We felt their need for love, care and affection, being surrounded by them made us realize the selfishness of the parents, especially those two toddlers who were abandoned at birth. With this activity we fervently hope that we gave them a reason to smile and that somehow we touched their lives as they did ours. I don't think so that they giving or providing EQUAL LOVE,CARE AND SERVICES to the abandoned,neglected children. As far as I see and know because we've been there for our OJT for just a week but we see the difference how they treated the abandon,neglected children is not EQUAL. They just Good,love,care and giving a good service to their own adopted children. Who can go outside the room whenever they want, having a special food for them, having their own toys,tablet... etc. But the poor 7 little boys age 1 year & 5 months to 4 years old. Didn't have they freedom to go outside the room whenever they want to play, they don't have a good food like the other high end Abandoned children.,they don't even have their own toys. UNLIKE their own adopted,who has a freedom,a good food and a tablet,toys that he can use And play whenever they wants. That's the real story about the Angels. The boys that we've been took care for just week, we can see and feel how they really wanted to feel the love and care of a parent. Because they always call us MAMA,they are so clingy,sweet and adorable kids. Yes sometimes they're stubborn but they will listen to you when you speak or talk to them nicely. And when they feel you that you really care for them. download happy chick apk and play the games for no cost.